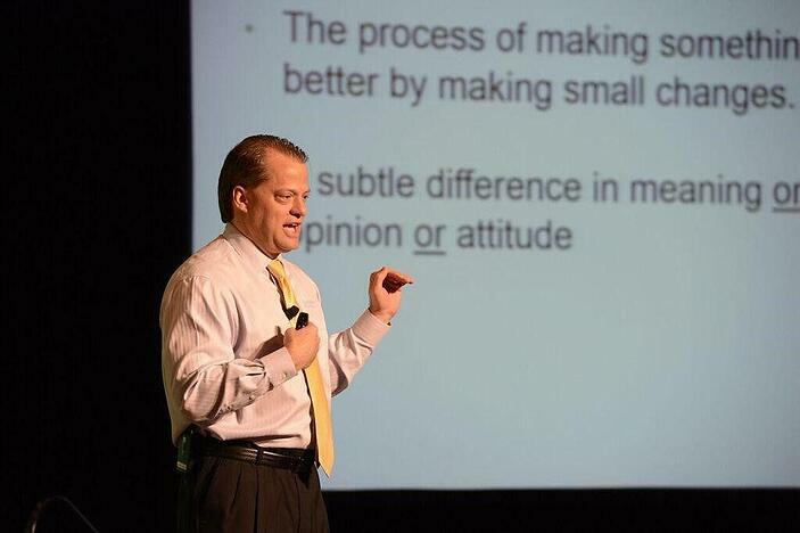 DreamMaker President Doug Dwyer leads a training seminar during DreamMaker’s 2015 Franchise Reunion. DreamMaker Bath & Kitchen average unit store sales increased 4.5% in 2015, which came on top of years of strong growth for the bathroom and kitchen remodeling franchise. DreamMaker franchisees have seen average unit store sales skyrocket 68% overall from 2011 to 2015. During the same timeframe, the overall remodeling industry grew 17.2% according to the Harvard Joint Center for Housing Studies. DreamMaker Bath & Kitchen is a remodeling franchise that helps entrepreneurs and remodelers earn strong financial numbers, and also focuses on helping them improve their quality of life. DreamMaker remodeling franchise businesses reported average gross margins of more than 45% on the jobs they performed in 2015* — much higher than the margins experienced by most remodelers. The increased margins are a result of leveraging buying power, strong vendor relationships, and systems that help remodelers build thorough and more accurate job estimates. 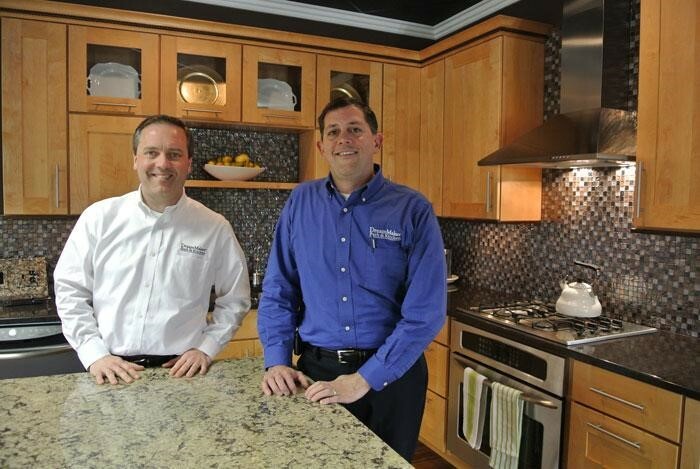 Lee Willwerth (left) and Bob Ender are among the top-performing franchisees for DreamMaker Bath & Kitchen. They started the business after leaving the automotive and software development industry. DreamMaker Bath & Kitchen has been blessed with an extraordinary group of franchisees who work together and with the headquarters team to support one another and help each other reach professional and personal goals. Each year, “Remodeling” magazine publishes a “Big50” list of remodelers who exemplify professionalism, integrity and excellence in craftsmanship and community impact. Since the list’s inception in 1998, 14 DreamMaker franchises have been named to the list. Many of our top franchisees joined the system without having extensive prior remodeling experience. For instance, Lee Willwerth and Bob Ender were in the automotive and software development industry before partnering to open a DreamMaker remodeling franchise in Ann Arbor, Michigan. Now they are one of the top-performing franchises in the system, and are among our Big50 winners. DreamMaker Bath & Kitchen franchisees focus on kitchen and bath remodeling, and are able to tap into systems and expertise to provide a full range of interior remodeling services, which enhances franchisees’ ability to generate repeat business and word-of-mouth. To learn more about our business, fill out a form to download our free franchise report and start a conversation. We look forward to hearing from you! * Average gross margins were calculated by asking franchisees to submit financial information, which was received from 25 franchisees. We discarded the top 2 and bottom 2 results to normalize the average. The average margin for the remaining 21 franchisees was 45.5%. Much more detail can be found in the DreamMaker Franchise Disclosure Document, which is provided to franchise candidates as part of the mutual investigation process into the brand.